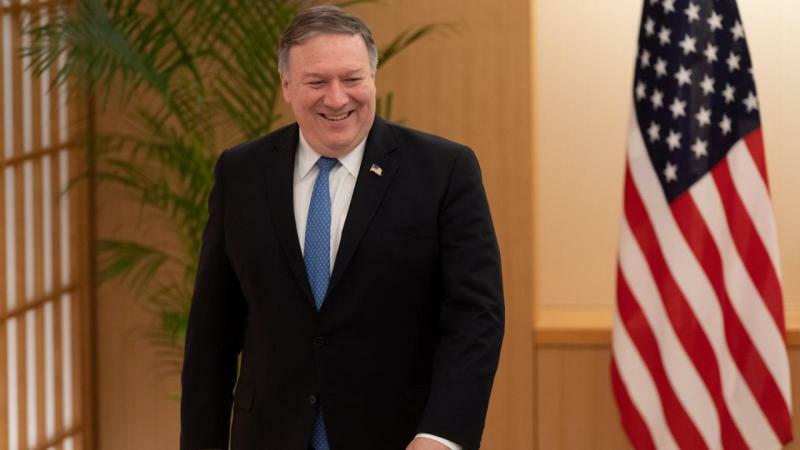 Probashbangla24 online Desk : US Secretary of State Mike Pompeo held two hours of talks with North Korean leader Kim Jong Un in Pyongyang on Sunday and said the two sides continued to make progress toward denuclearization. Kim and Pompeo met for about two hours, including lunch at the Paekhwawon, or 100 Flowers Garden, a prestigious state guesthouse, according to a pool report. The brief trip, his fourth since March, was initially planned in late August but called off at the last minute by US President Donald Trump who blamed lack of progress. “It’s a very nice day that promises a good future for both countries,” Kim said, speaking through an interpreter, as he sat down at the lunch table with Pompeo. “Thank you for hosting, President Trump sends his regards. And we had a very successful morning, so thank you and I am looking forward to our time here at lunch as well,” Pompeo said. Kim pledged to work toward denuclearization at his unprecedented meeting with Trump in Singapore in June, but Pyongyang’s actions have since fallen short of Washington’s demands for irreversible steps to give up its arsenal, including declaring all nuclear and missile facilities. Pompeo’s last trip did not go well. He left Pyongyang in July hailing progress, only for North Korea to denounce him for making “gangster-like demands.” Pompeo did not meet Kim on that trip. 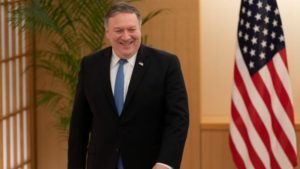 In Seoul, Pompeo was scheduled to meet South Korean President Moon Jae-in later on Sunday before holding talks with Foreign Minister Kang Kyung-wha, according to Moon’s office. Pompeo had said en route to Asia he aimed “to make sure we understand what each side is truly trying to achieve.” He said he also hoped to agree a “general date and location” for a second summit, which Kim proposed to Trump in a letter last month. Pompeo declined to give details of his planned negotiations when asked if he would agree to North Korean demands for a declaration to end the 1950-53 Korean War or to South Korea’s suggestion that to break the current stalemate, he should avoid pressing again for an inventory of North Korea’s nuclear weapons.